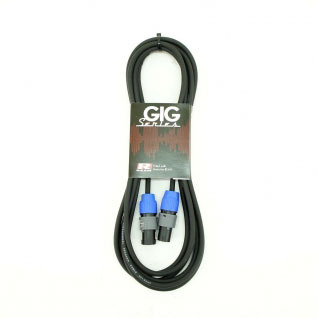 The Gig series NL2FC (2 connections only) range have 1.5mm high quality copper speaker cable in their construction. 1.5mm cable is sufficient to drive up to 2.4kW at 50 metres into a 4 ohm load with little or no audible performance degradation! Damping factor (the ability to control cone movement) is largely affected by connection resistance. 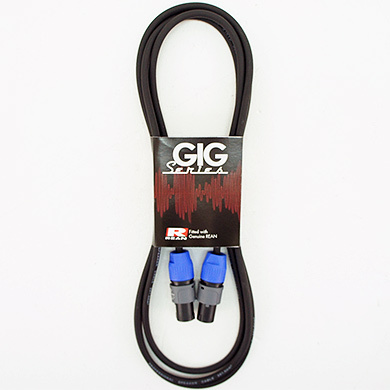 The inclusion of high quality and genuine Neutrik NL2FC 2-way connectors reduce connection resistance. All cables come wired pin to pin -1/+1, the NL2FC only has 2 connections.